Sutton Group – Admiral Realty Inc.
Dave has a passion for helping his community – a passion that has driven him to remarkable success as a top Vaughan Realtor®. His team of specialized real estate agents (Team Elfassy) has set the bar for value, service and results. Clients and neighbours in Thornhill, Richmond Hill, Aurora, Markham and Toronto have all benefited from their experience and expertise. Dave is hard working, detail-oriented and has an innate ability to accurately analyze and advise on market values, trends and investment opportunities. These skills, together with his industry-leading marketing strategies and cutting-edge technologies, has positioned him in the top 1% of realtors across Ontario. He’s been featured on HGTV’s “Agent Vs Agent“, the W Network’s “My House, Your Money“, CTV, Rogers TV, and in the Toronto Star. Dave was also the recipient of the prestigious Realtor of the Year award by Canadian Real Estate Wealth Magazine. 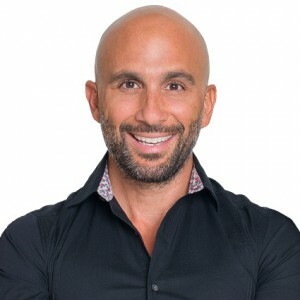 Prior to joining the world of real estate, Dave acquired expertise in sales, marketing, negotiating, and strategic planning through 12 years of managing and consulting in the health and fitness industry. He graduated with honors from York University with a degree in Kinesiology and Sports Business Management. Dave is a devoted father, animal lover, philanthropist and Toronto sports enthusiast. When he’s not meeting with clients or negotiating offers, you can find him whipping up a sweat at the gym or just hanging out with friends and family. Dave Elfassy and his team are on the ball. Whether you are looking to buy/sell or both look no further. Dave and his team will walk you through every step of the way. His knowledge and understanding of the real estate market will put ‎your mind at ease. His attention to detail and customer service skills are hard to come by these days. He will carefully strategize and plan out the results you are looking to achieve and in the end he will deliver.‎ Dave helped us buy this past November, and sell our home in February over our expectations. We highly recommend Dave and his team to anyone in the market of selling or buying. When we embarked on the path to sell our home, we knew that there would many phases of the process that would be daunting and confusing. When we found Dave, we knew our apprehensions would be set aside. We felt like we were in good hands right from the start. Dave and the Right at Home team were patient, courteous and professional as they walked us through the stages of selling our house. From assisting with professional staging to analyzing market trends and coaching us with advice on setting the right selling price – Dave was with us from the get go through to the sale. We also found Dave to be extremely approachable and accessible. He made us feel like selling our home was his priority – as if it were his own home – and he listened and responded to all our concerns daily. Dave had some extremely good ideas and solutions throughout the process. Most importantly, he brought in the traffic through excellent networking and superior professional marketing tools (the website is incredible!) and did he ever deliver: with over 100 visits to our home over a period of 5 days! Dave, we can’t thank you enough for helping us sell our home, getting well above and beyond our asking price, and for standing by us through the process. We will be sure to refer you to all our friends! Hands down, the best customer service for the most important transaction we’ve ever had! We interviewed several agents before deciding on Dave. He was great in helping to buy our new home and selling our condo. He always impressed us by always being responsive, professional, strategic, friendly and knowledgeable of the housing market. He is always multiple strategies to make sure you are well taken care of. Most of all, he ensured a very smooth process for us with everything from documents to reliable contractors. We'll definitely use him again. I have worked with Dave as my agent for 8 years and 5 real estate transactions now. The experience has simply been outstanding! His marketing strategies are brilliant and always leading edge. It's a bonus that he has a great sense of humour and an uncanny ability to make people laugh in situations that are usually stressful. I have been able to refer several friends and family members to Dave and he has made me look good every time :) Dave provides incredible value since his marketing is superior to agents that charge more than double his fees... I actually found it hard to believe at first, but after 5 very successful deals with Dave I just highly recommend him to anyone that asks!